Remember the old adage that an ounce of prevention is worth a pound of cure? As it turns out, that’s a great way to describe how the use of sealants has impacted dental patients over the past few decades. Dental sealants were first developed in the 1960s and approved by the U.S. Food and Drug Administration in the early 1970s. By the 1980s many dentists were offering sealant treatments to their patients and for good reason—sealants are very effective at helping to prevent tooth decay. Both the American Dental Association and the American Academy of Pediatric Dentistry recommend use of sealants to help prevent cavities. By the time a child’s first molars appear—usually around 6 years of age—sealants can be applied. A sealant is a nearly invisible plastic coating that is typically applied to molars in the back of the mouth, where most chewing occurs. The sealant fills in small pits and grooves in teeth, where decay usually starts. These tiny spaces are often missed with regular brushing and flossing, and the small amounts of bacteria left behind can often lead to the formation of cavities. Sealants actually stop decay early on and help to prevent the formation of new cavities. Applying a sealant is simple and quick. An acidic solution is applied to the tooth to slightly “roughen up” the surface, which helps the sealant to adhere to the tooth enamel. After that, a thin layer of sealant is painted on the tooth. Finally, a blue spectrum natural light is shone on the tooth to help cure the plastic. Application to each tooth takes just a few minutes. Sealants can last for quite some time—as long as 5 to 10 years in many cases. Although the sealant should be regularly checked by your child’s dentist, chances are the sealant will last for several years. Are Sealants a Replacement for Regular Dental Care? Even though a sealant can be an effective way to fight cavities in children, it doesn’t mean your child can skip regular dental hygiene or trips to the dentist. Regular (twice daily) brushing and flossing are still key to maintaining healthy teeth. Your child should also eat a balanced diet and stay away from too much unhealthy snacking. Just as a sealant helps to fight cavities, so does fluoride, but in a much different way. A sealant is no replacement for fluoride treatments found in toothpaste, mouth rinses and some city water supplies. And, of course, regular dental visits are important for both children and adults. If you want to be proactive about fighting tooth decay in your child, ask your dentist about a sealant. Used in combination with good dental hygiene habits and regular dental visits, a sealant can be an effective means of preventing cavities before they form. Now that’s what we call an ounce of prevention! Robert Milton writes for Austin Dental Center, an Austin dentist who keeps their neighbors smiling with preventative care, restorative treatments, and cosmetic procedures. Dental sealants is a safe and cost-efficient procedure for dental treatment. Mostly in children, cavity occurs cause of not properly clean teeth. Food particles and bacterias remain in child’s teeth cause they are not easily come out from mouth. Even your brush can not reach there. So sealants protects all those area. It is proven by surveys that Sealants are as effective in cavity as they are in other dental problems. Prevention, prevention, prevention! 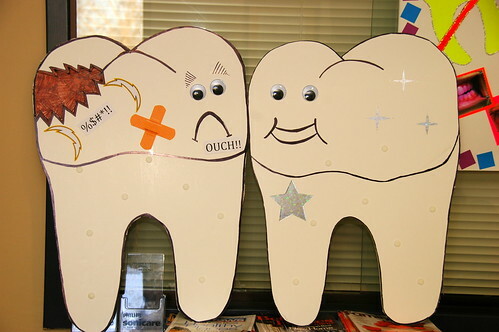 The best way to avoid dental problems is preventative care. Dental sealants for children, along with good oral hygiene and a healthy diet, can help prevent cavities until their permanent teeth come in. Thanks for your feedback! Tooth decay and gum disease are generally present in every bodies mouth nowadays it is a normal disease so to prevent your tooth from tooth decay Sealants is the best option which provides covering to your teeth so that tooth decay will not happen. Dental health play important role in life of every person because it reflects and enhance your personal confidence through smile so don’t ignore problems in teeth of children. Thanks for the feedback, Dentist in Calgary! Interestingly enough, babies are born without oral bacteria. Bacteria shows up later from social interactions and when teeth erupt which gives several types bacteria a place to colonize. However, you are correct — dental health is very important for children and adults. Working to prevent tooth decay and gum disease is the best way to keep us all healthy and happy.